​Change Lives With Your Gift to Friendship of Women, Inc. 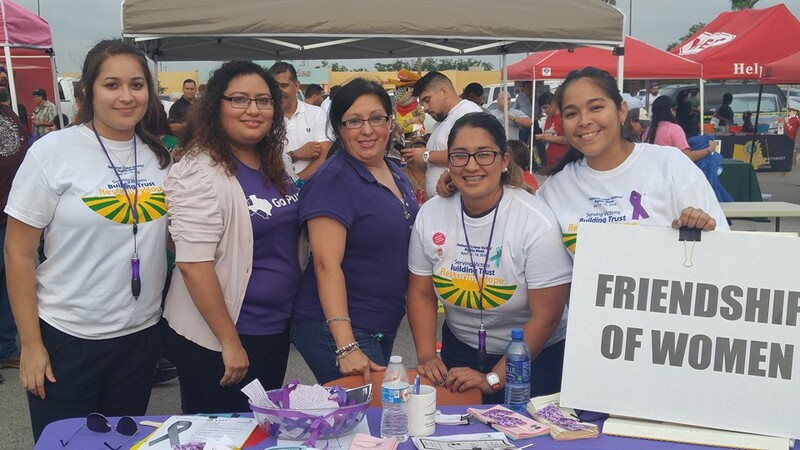 Friendship of Women, Inc. reaches families and individuals experiencing trauma and crises. Your donation can help change the lives of many here in your community. ​Your gift will help ensure that there is a crisis hotline for victims and survivors, a shelter to provide a safe refuge for individuals and families escaping violence, a community outreach center accessible to anyone seeking services or education, and many other crucial and often life-saving services to anyone who needs them. Whether you are a longtime supporter of Friendship of Women or whether this may be your first time giving, we sincerely appreciate your commitment and encouragement on behalf of the families and communities we serve. Download our Volunteer Application and email the completed form to our Volunteer Coordinator at communityed@fowinc.com. *Please follow the same process if you are interested in our internship opportunities. Please submit a copy of your state identification card. RSVP with our Volunteer Coordinator at communityed@fowinc.com. Orientations are held at least once a month on a Saturday from 10:00 am – 12:00 pm. Live trainings will be scheduled with the Volunteer Coordinator. Direct service volunteers must be 18 years or older and will be required to complete a minimum of 40 hours of training.